Capital Guardians offers detailed resident statements, generally accessed via the internet, or, if requested, can be received in the mail, like a traditional bank statement. all transactions information can be exported into CSV file, that can be used to analyse transactions using Excel, and other analysis tools. 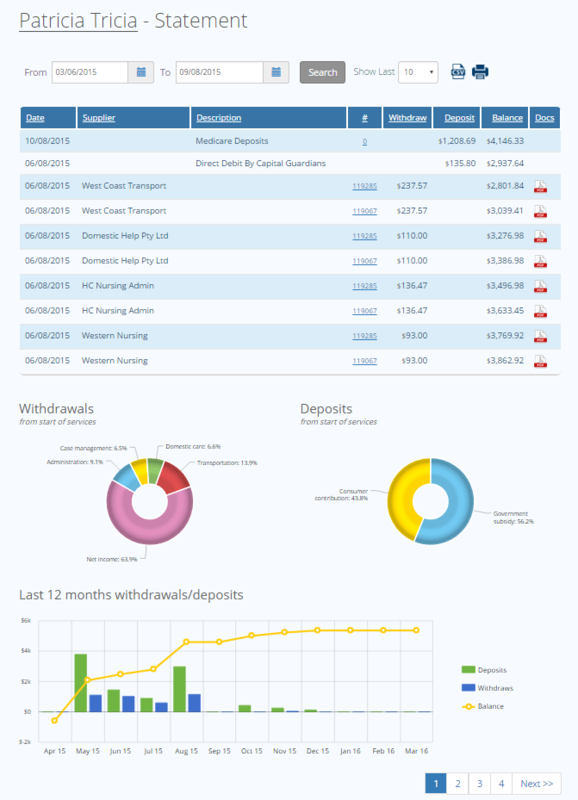 Other reports are available at request, such as 12 month reports and budget variance reports, these reports are used in more complex homecare reporting and can be viewed in our homecare sections.